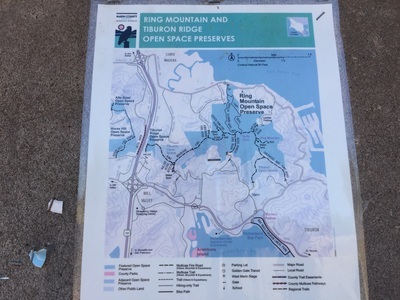 Parking: Free (limited) street parking near the trailhead. 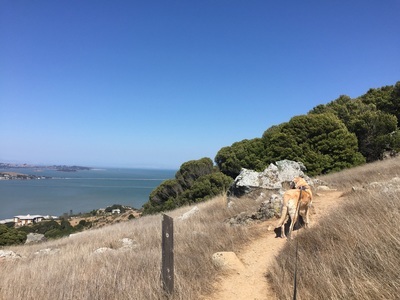 Best time to visit: A clear day that isn’t hot, as trails are mostly exposed to sunlight. 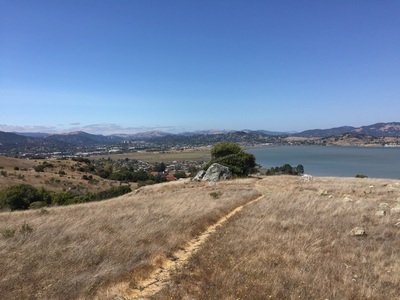 Description: This 367-acre preserve has many miles of incredible trails, and even a short, approximately 2 mile loop yields incredible views of the surrounding cities. You will be rewarded with views of the bay and Richmond Bridge on your way up, and then panoramic views of San Francisco at the top. 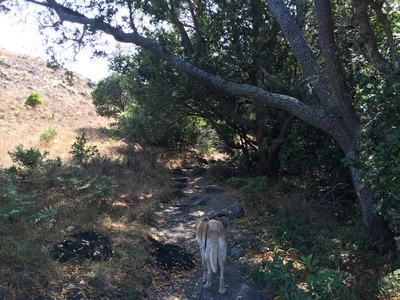 The trail is mostly exposed to sunlight but usually has a nice breeze since it's near the water, as well as a few shady patches on the hike up. 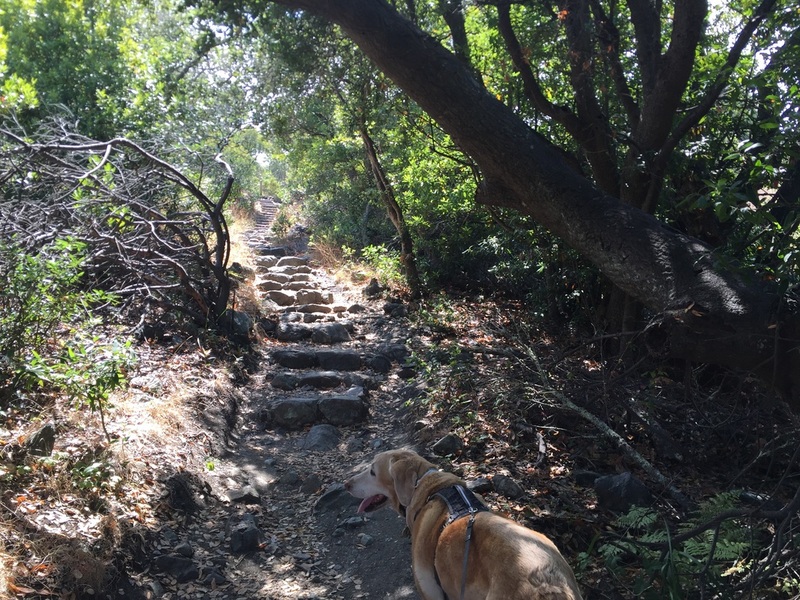 You will cross a couple bridges over creeks and climb up rock stairs on some sections of the trail. 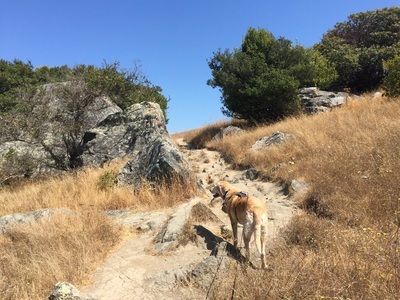 There are also quite a few unique rock formations along the trail during the hike. 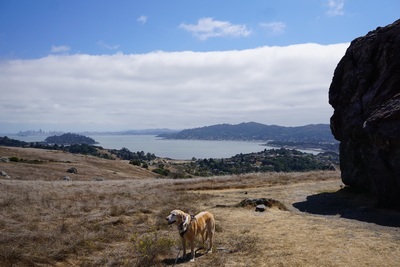 I highly recommend checking out Turtle Rock. 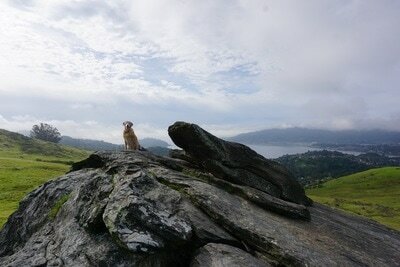 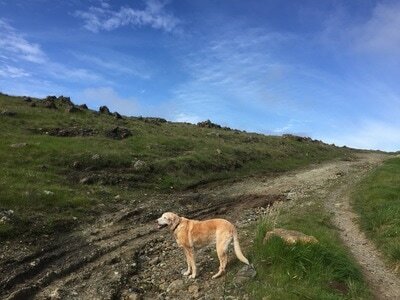 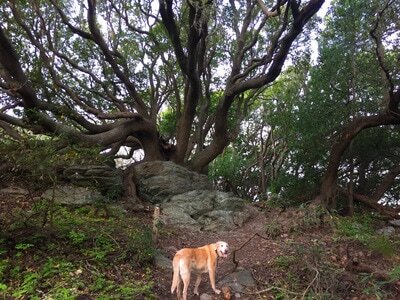 Bailey was able to climb to the top of it with me, as it isn’t steep and has fairly easy footholds. 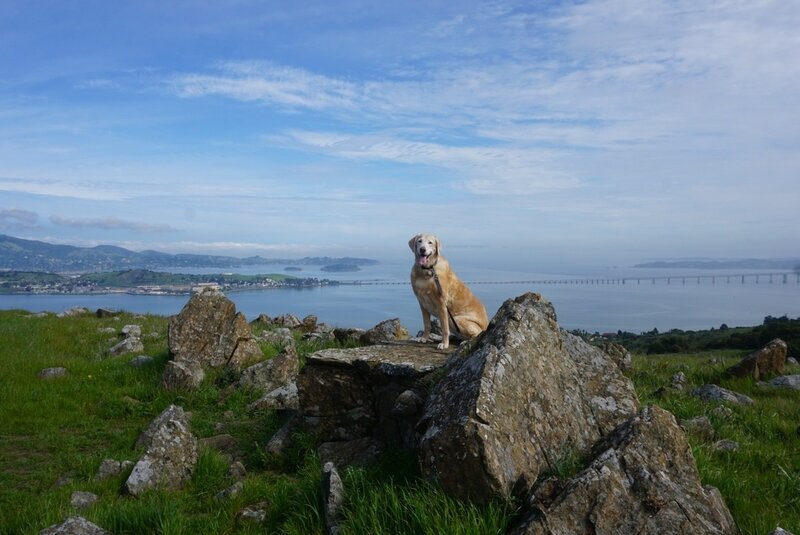 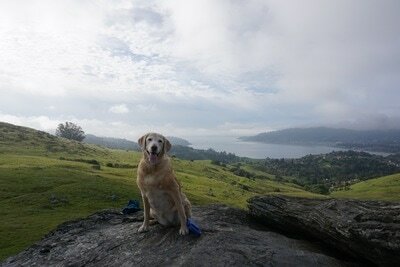 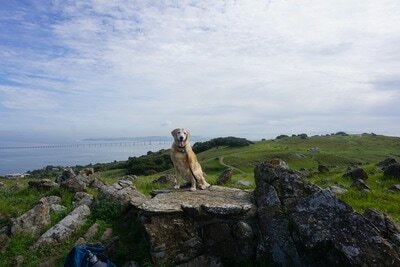 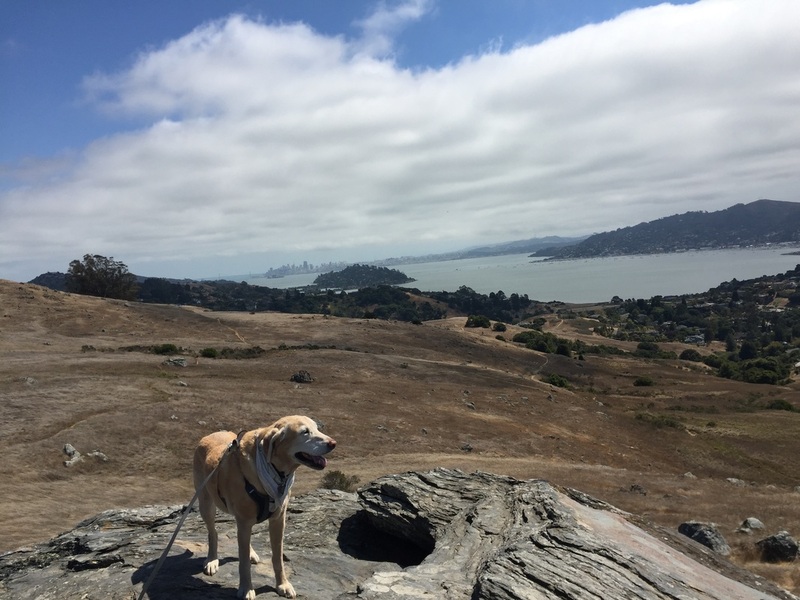 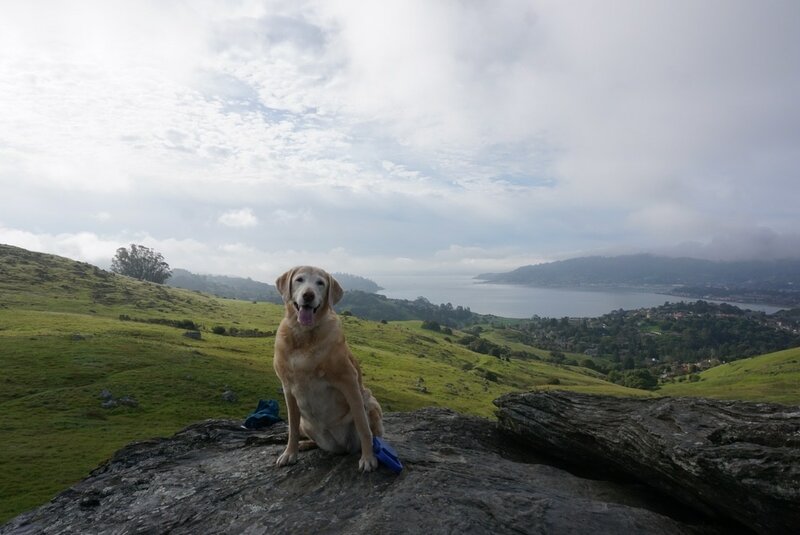 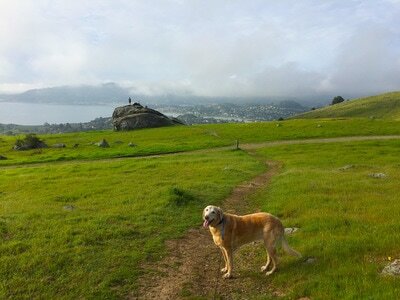 Just keep your dog on leash, as it’s pretty windy at the top of the rock and your dog could lose its footing. It’s an incredible spot to stop and enjoy the view. 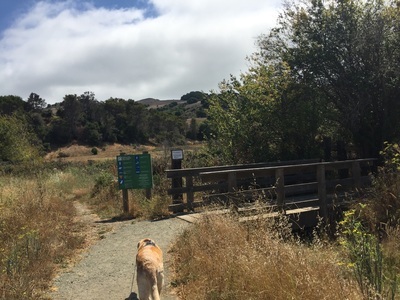 During Winter and Spring, a creek cascades down the trail, and the green hillsides are dotted with wildflowers. 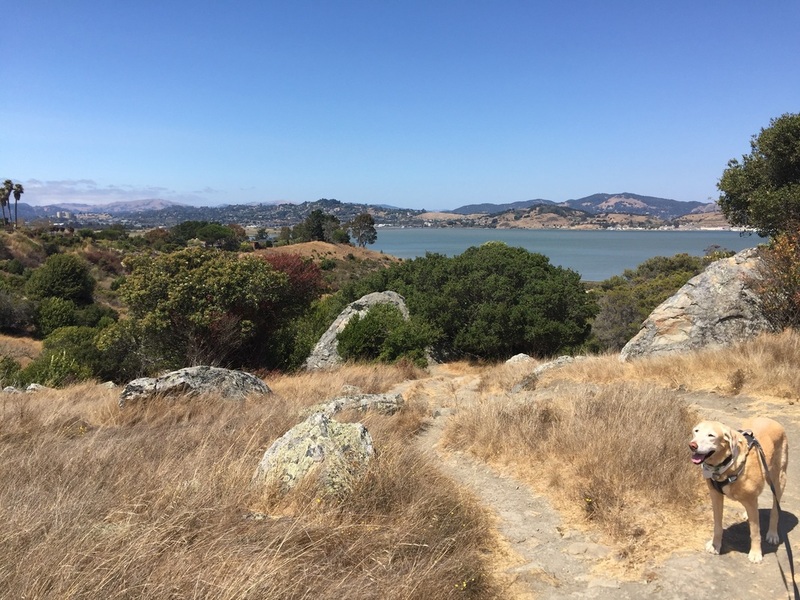 This includes the Tiburon Mariposa Lily, which is found nowhere else on earth. From the trailhead, you can start on the Loop Trail, which curves around to the top of Turtle Rock. 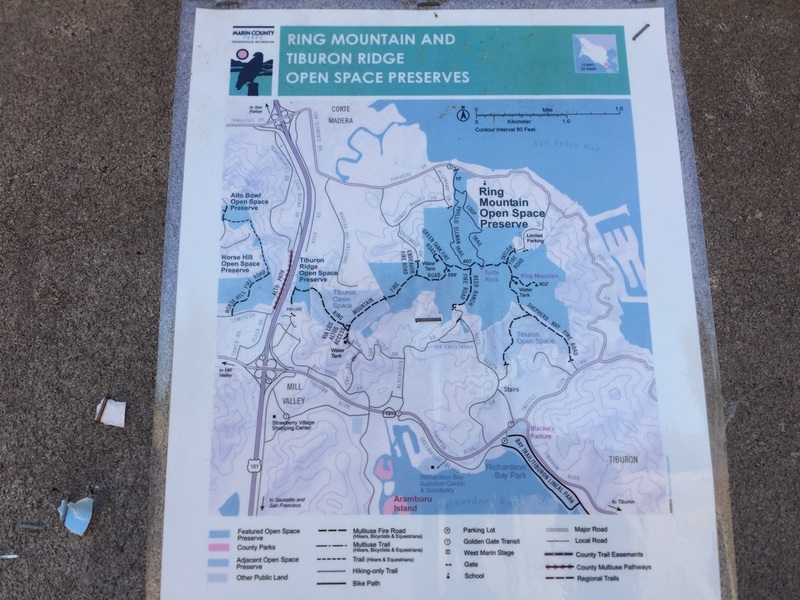 From here you can hike over to the highest point of Ring Mountain, at 602 feet. 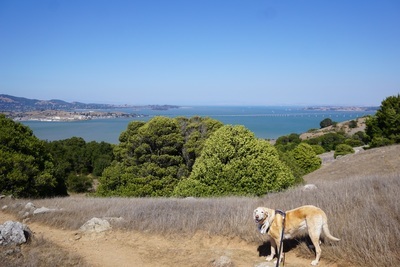 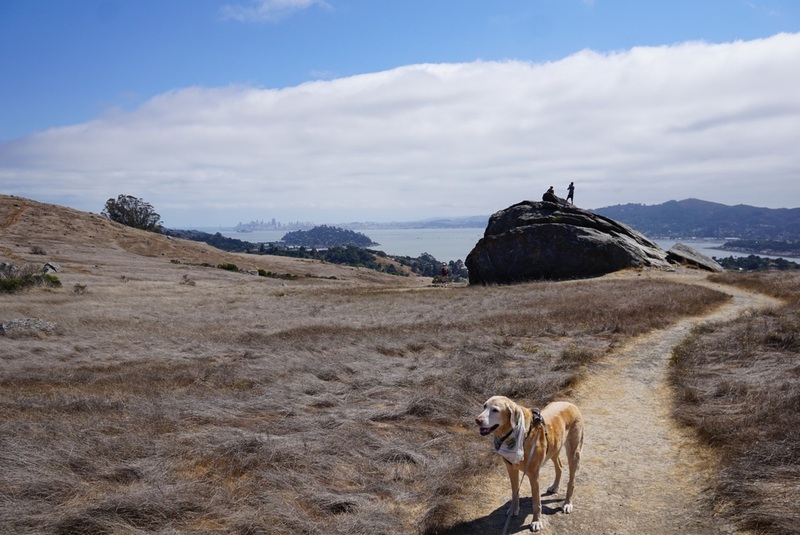 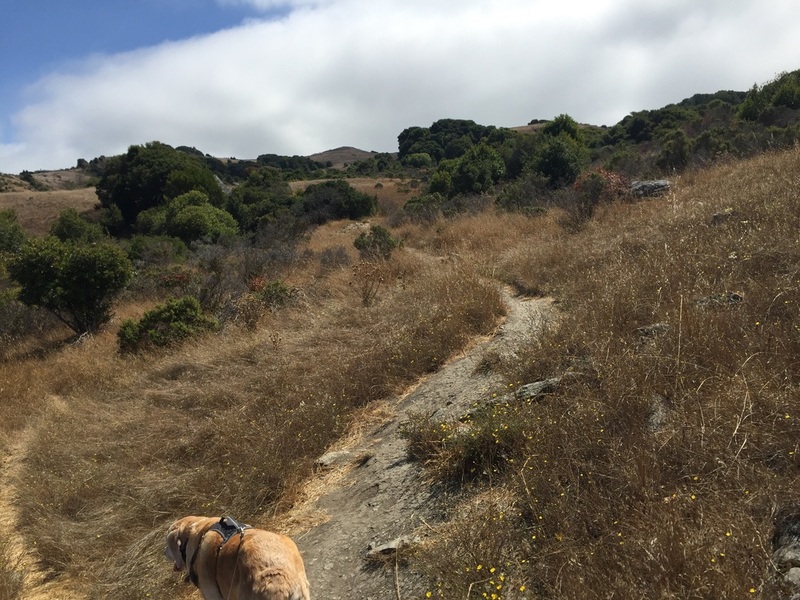 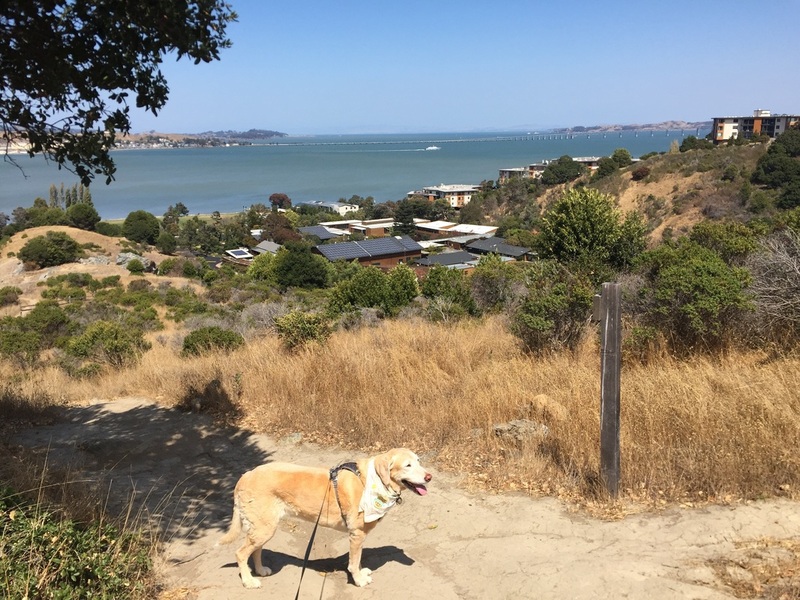 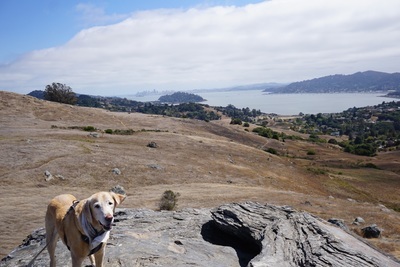 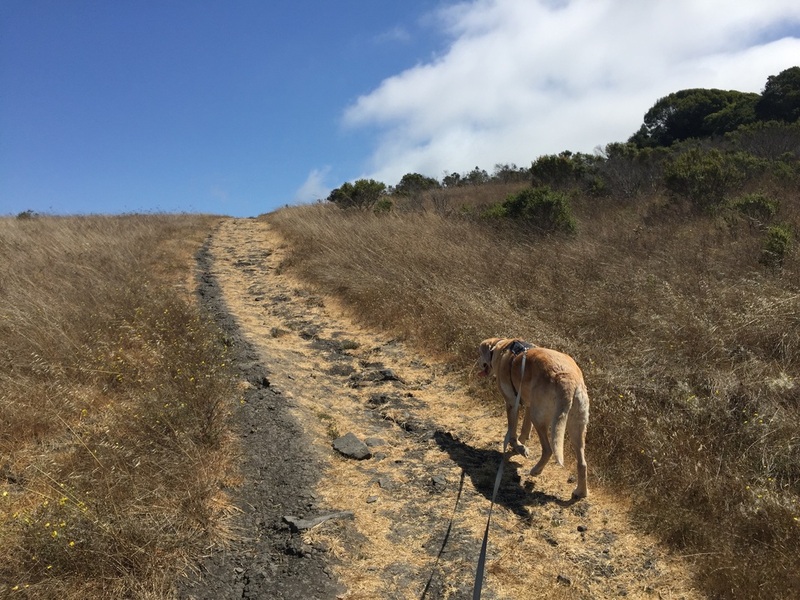 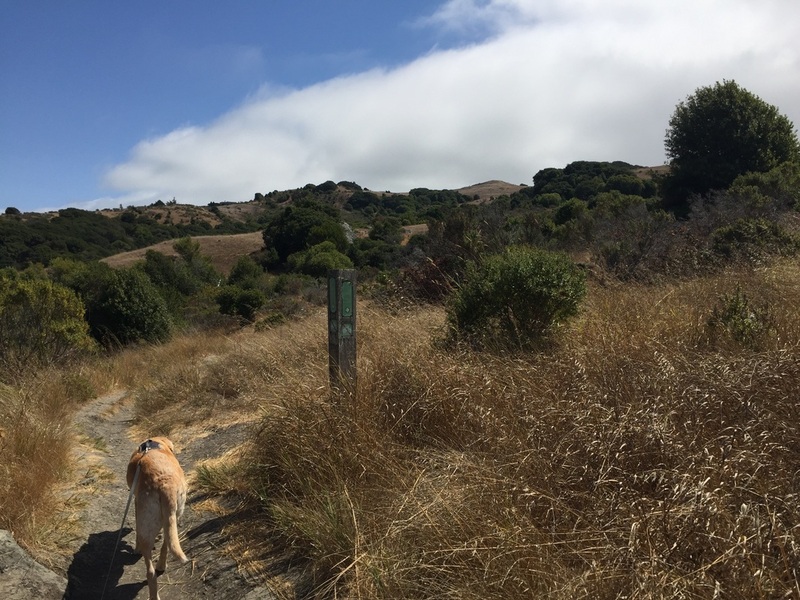 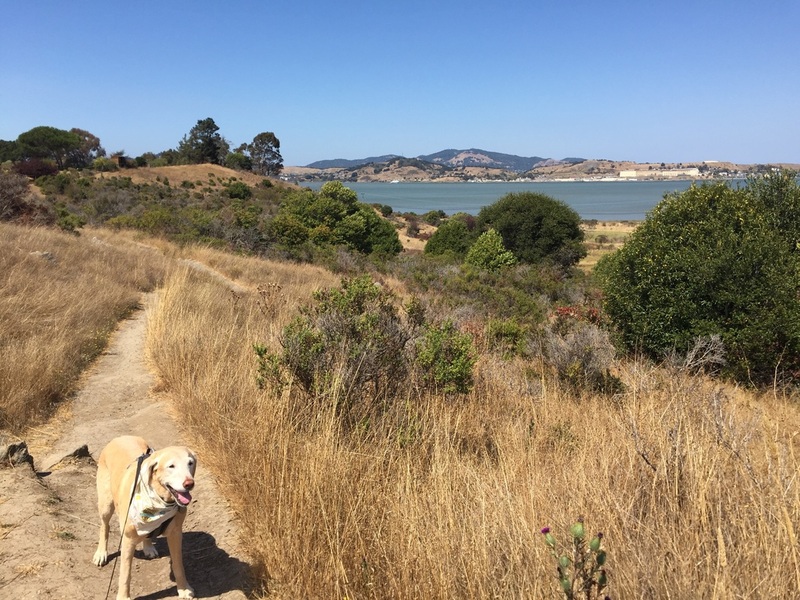 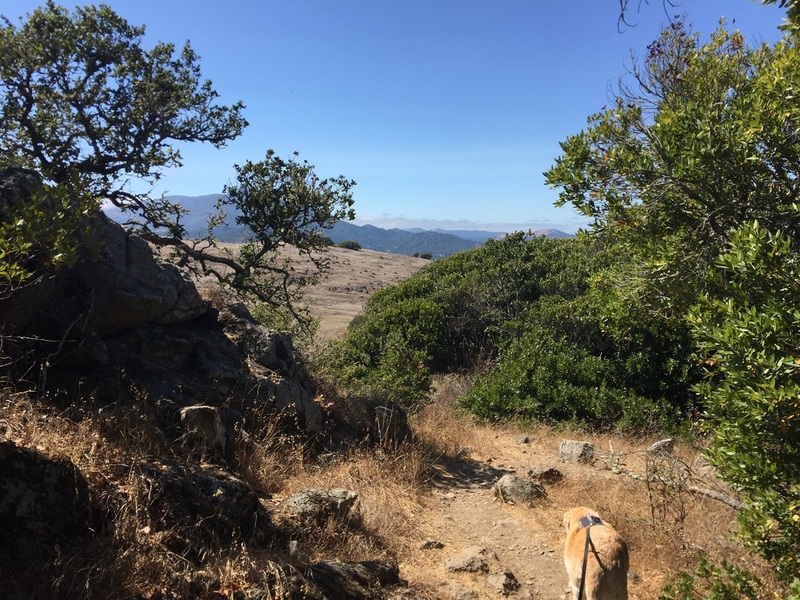 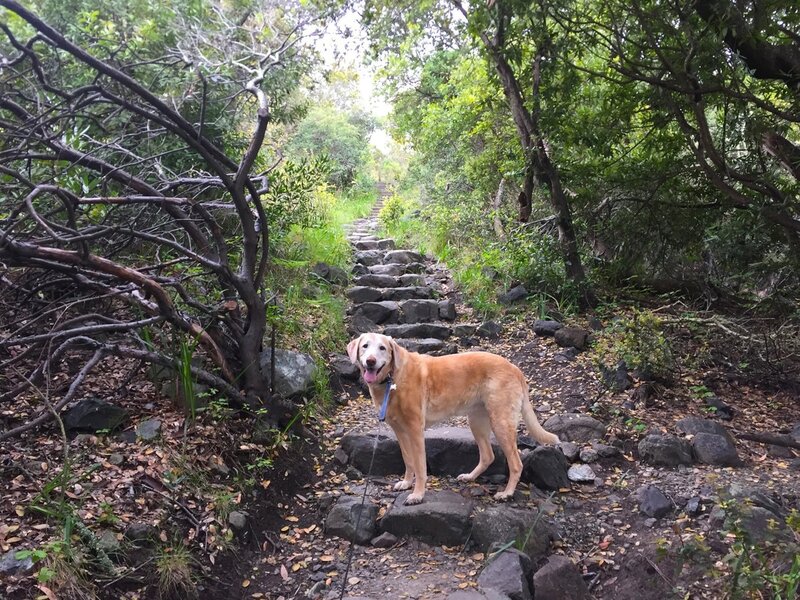 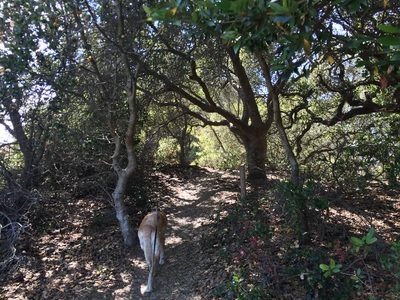 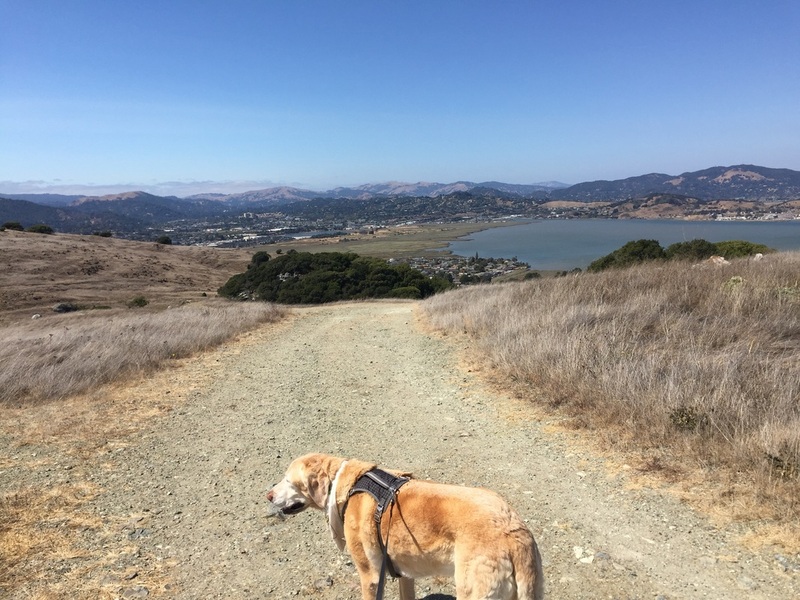 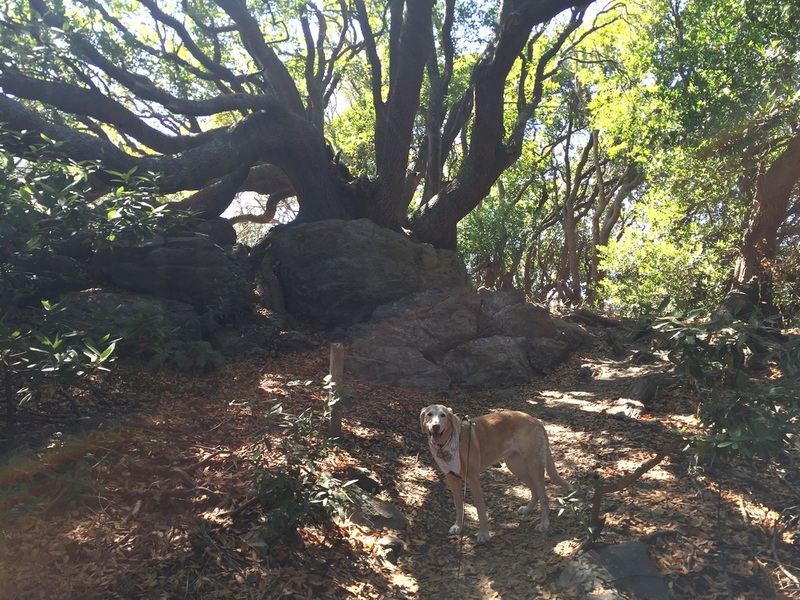 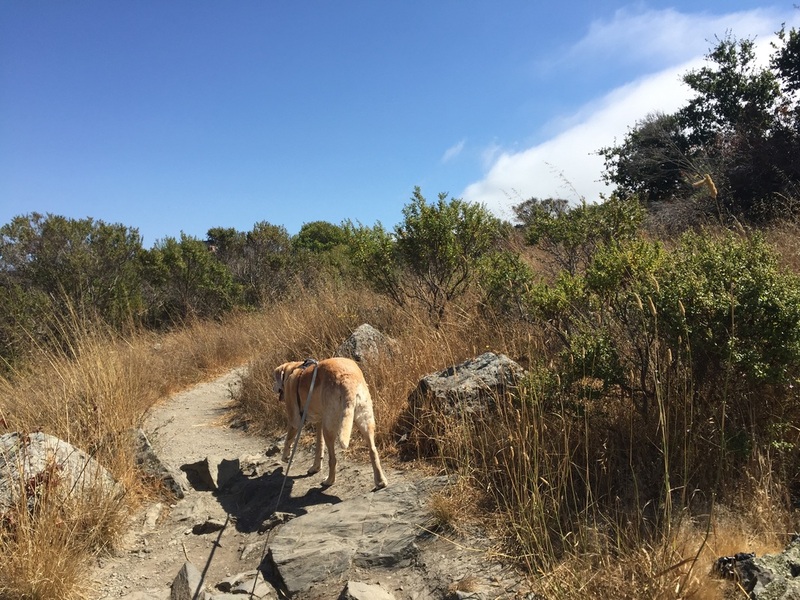 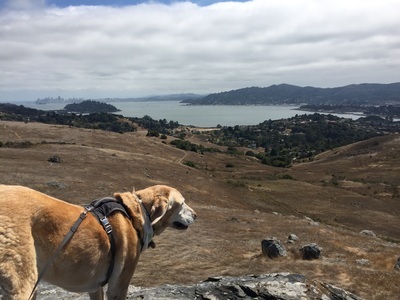 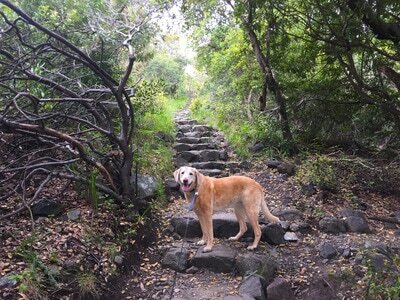 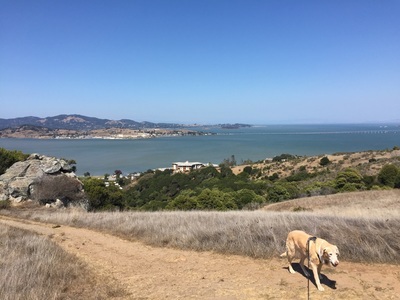 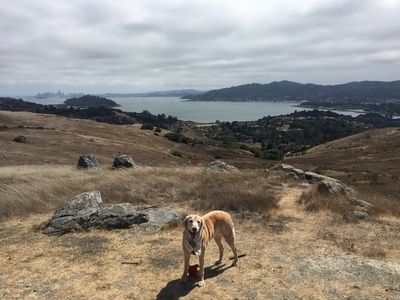 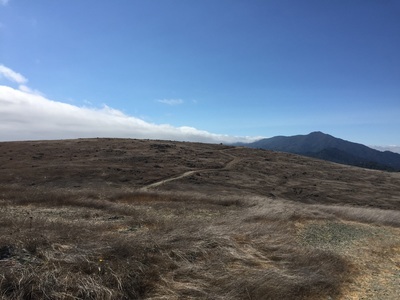 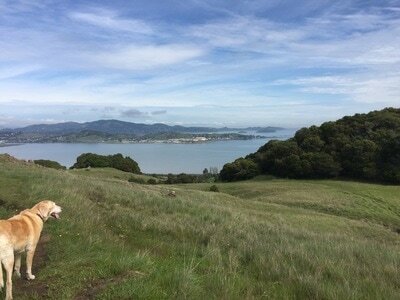 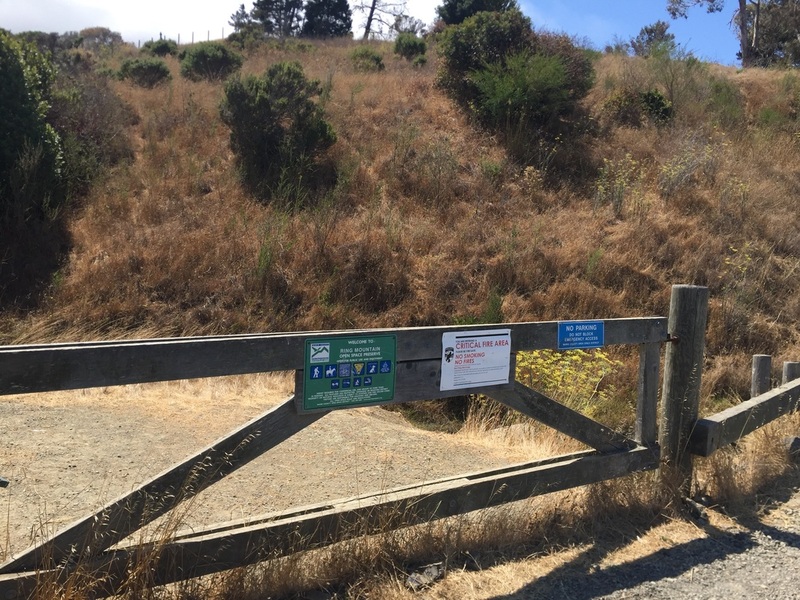 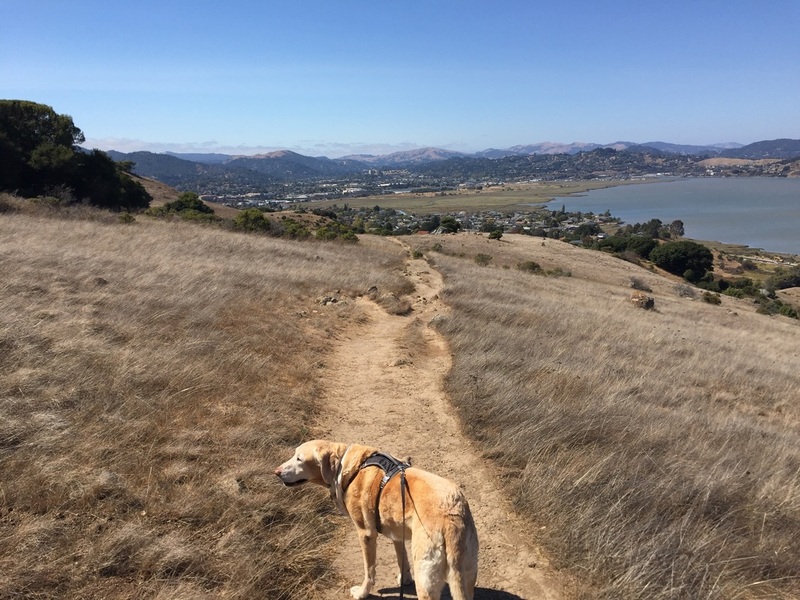 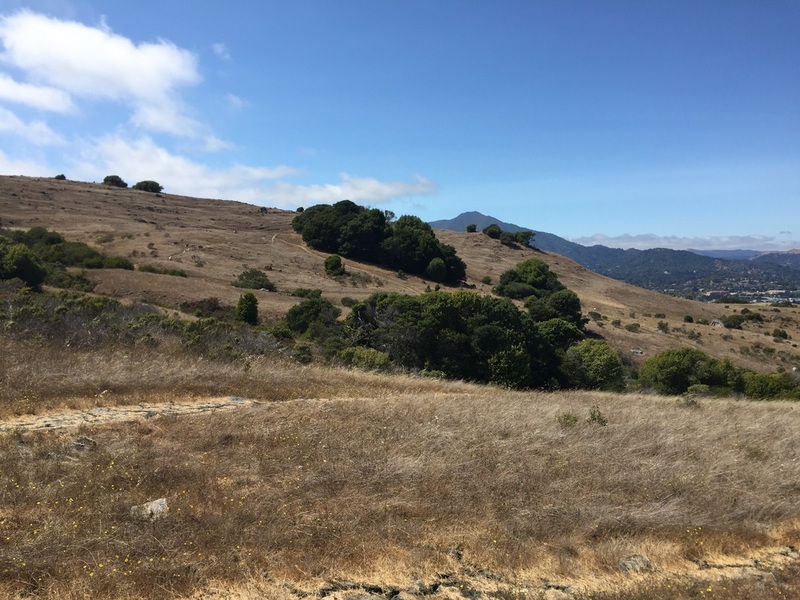 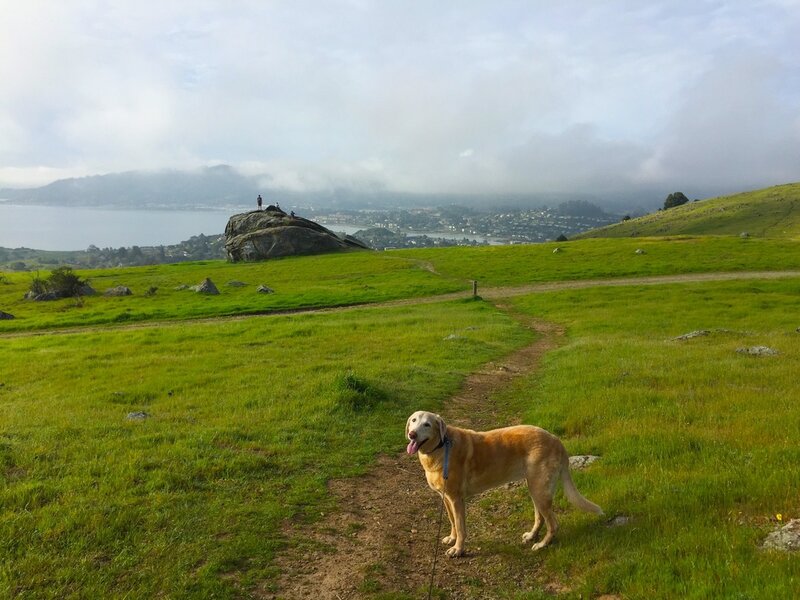 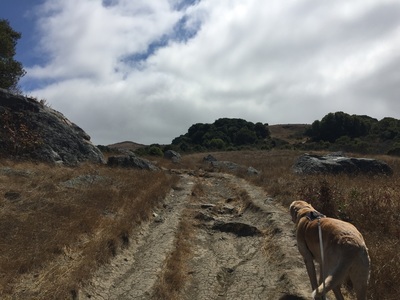 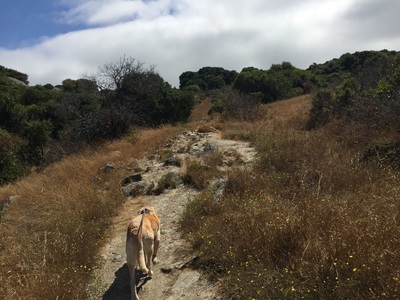 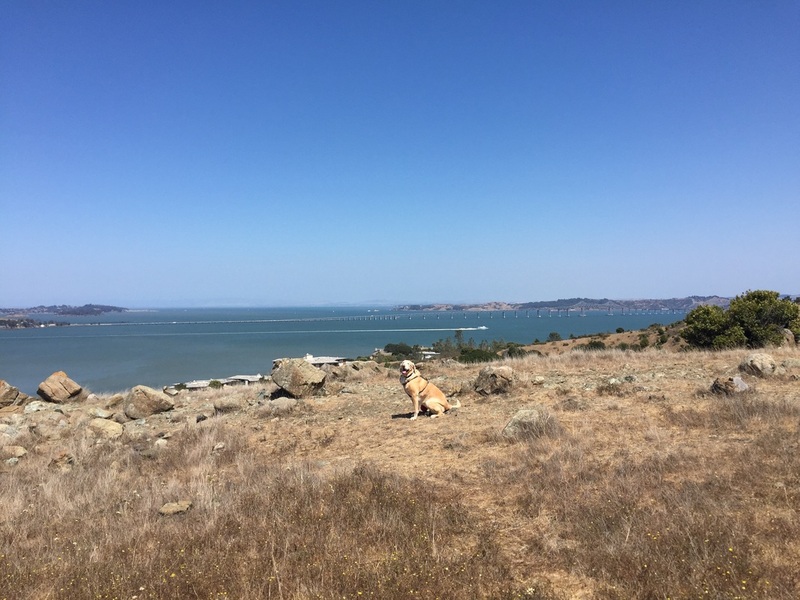 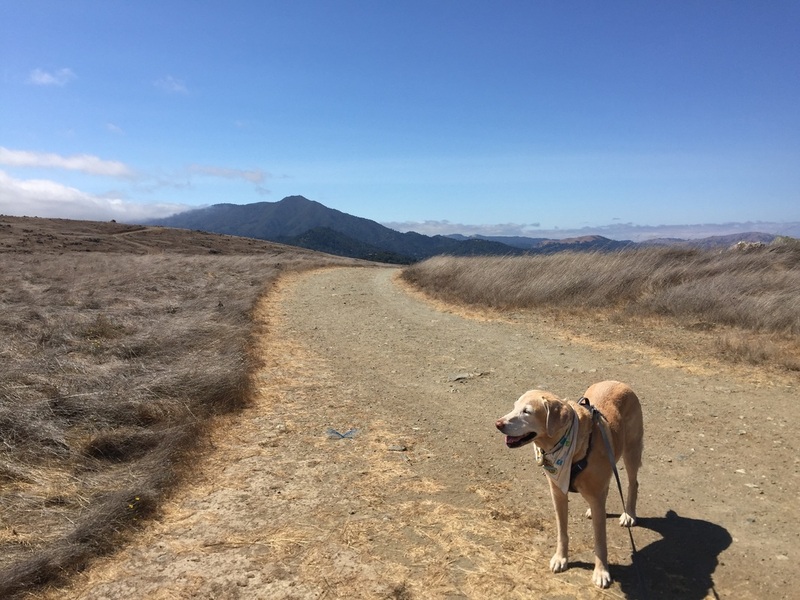 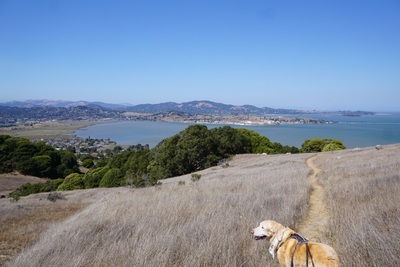 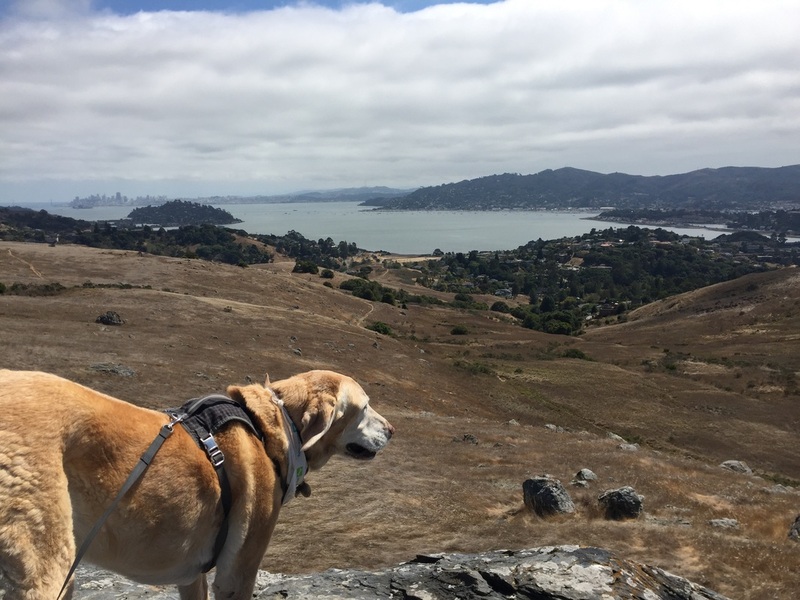 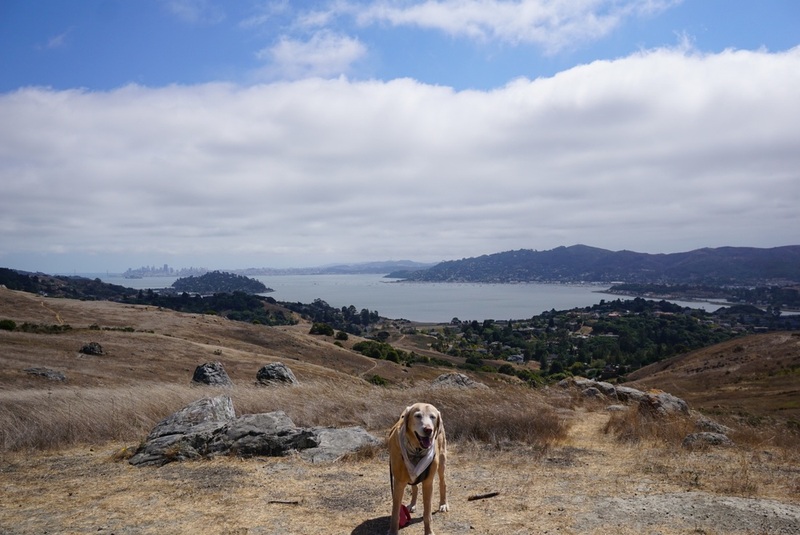 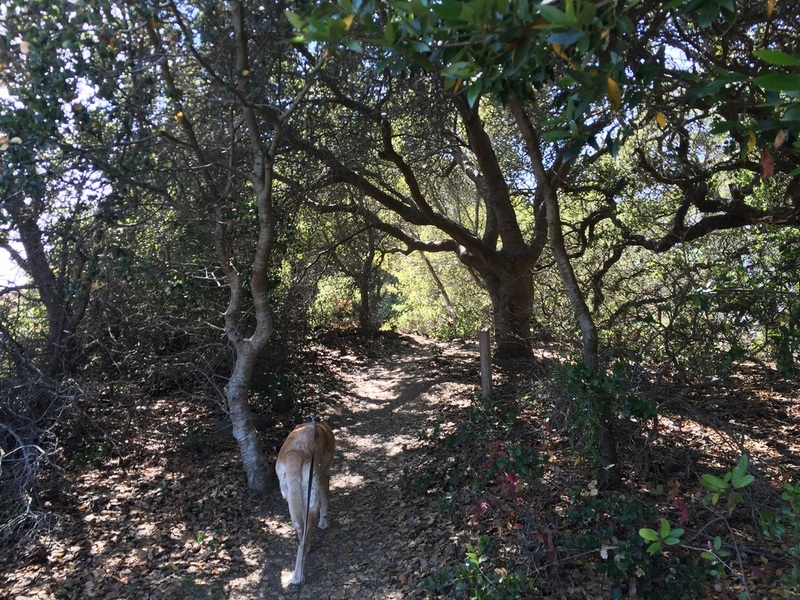 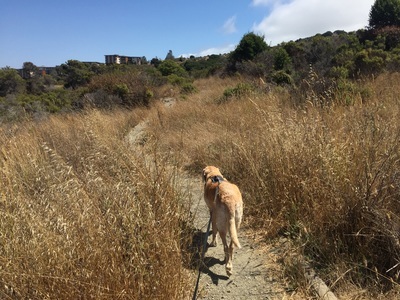 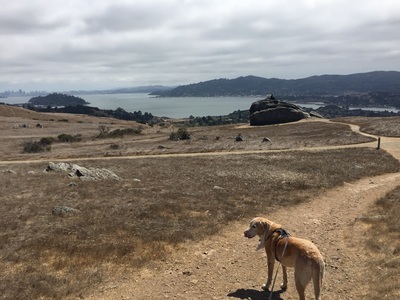 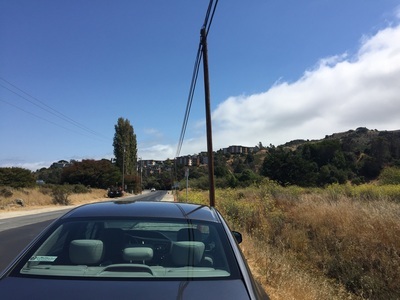 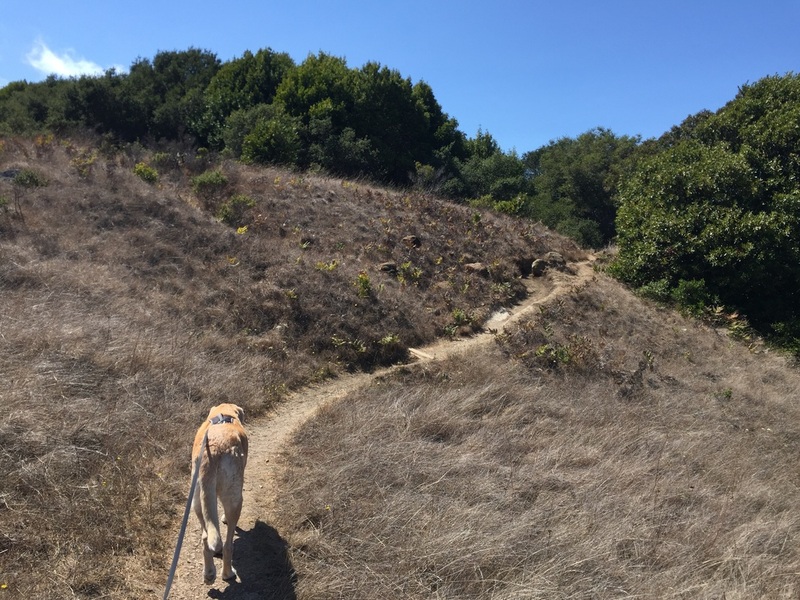 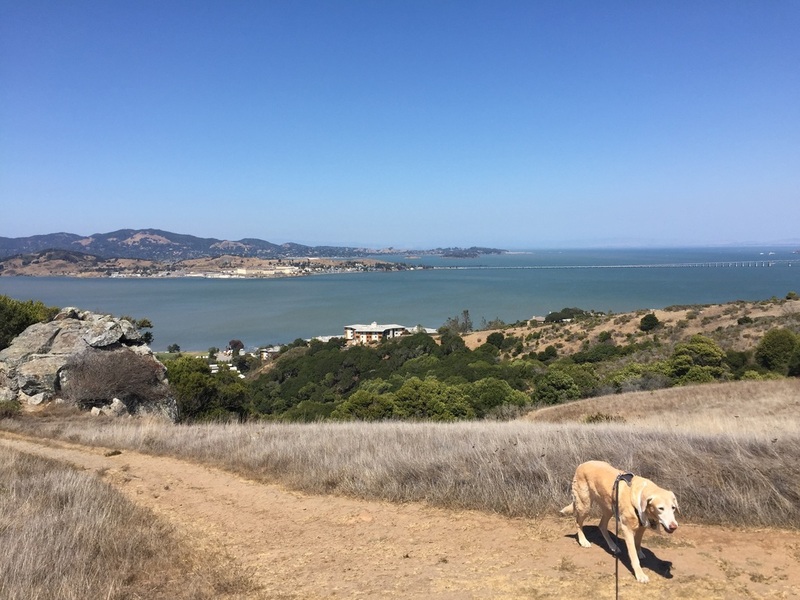 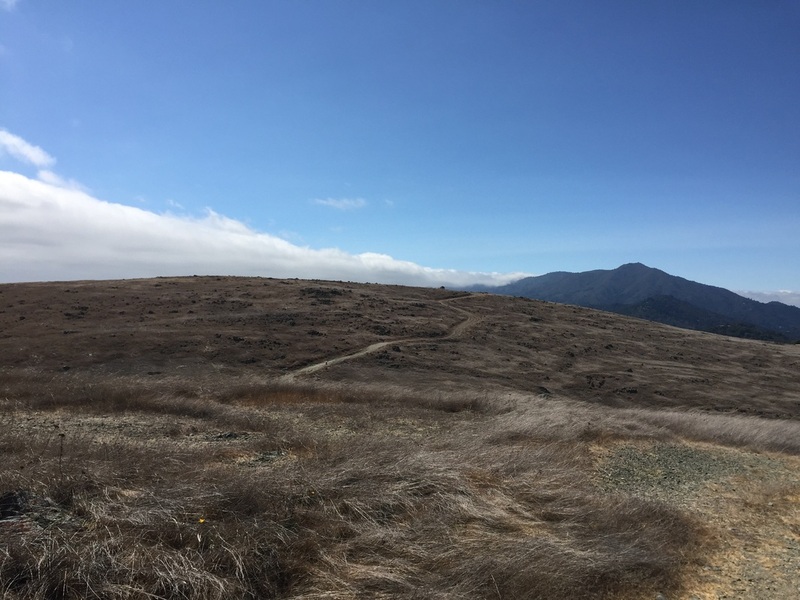 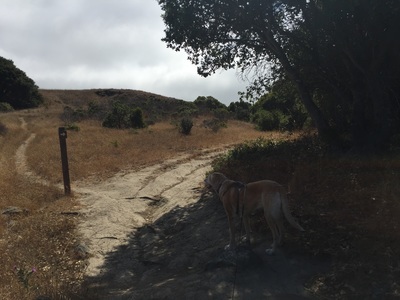 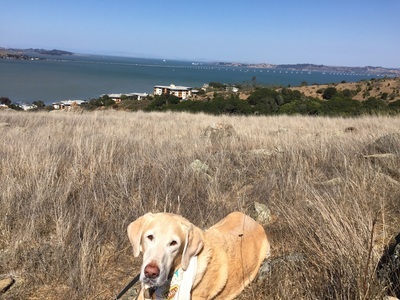 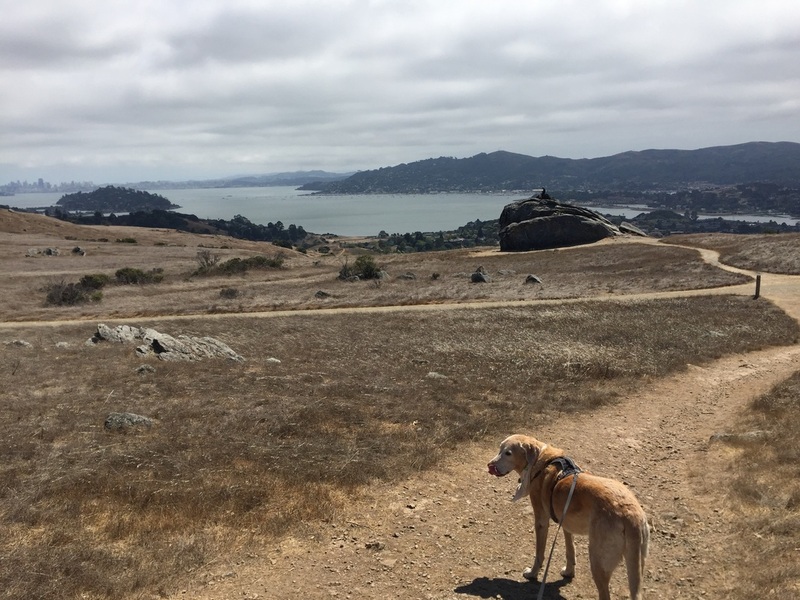 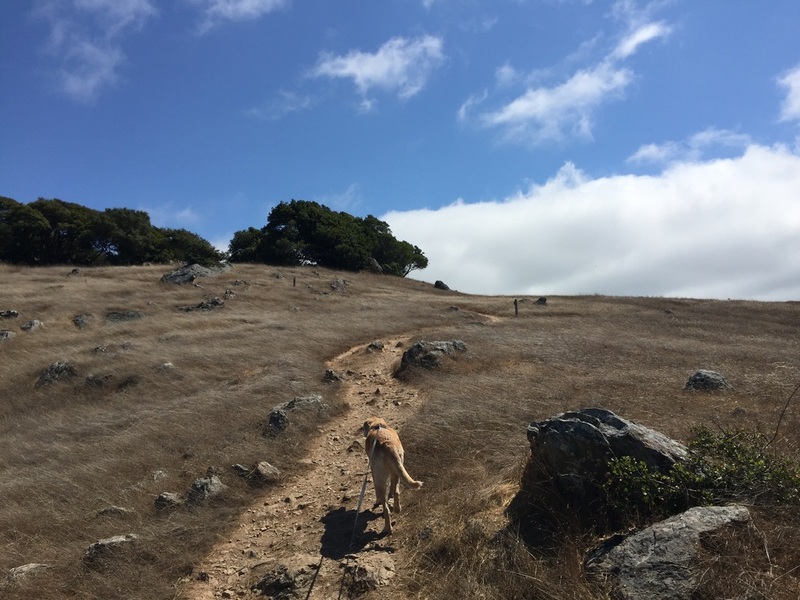 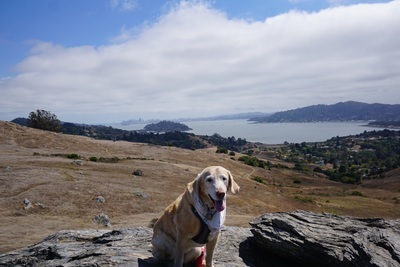 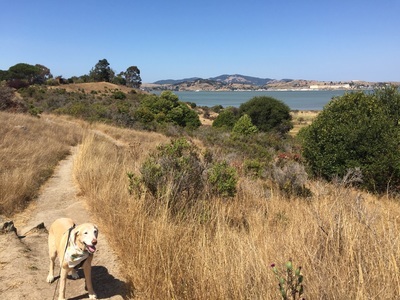 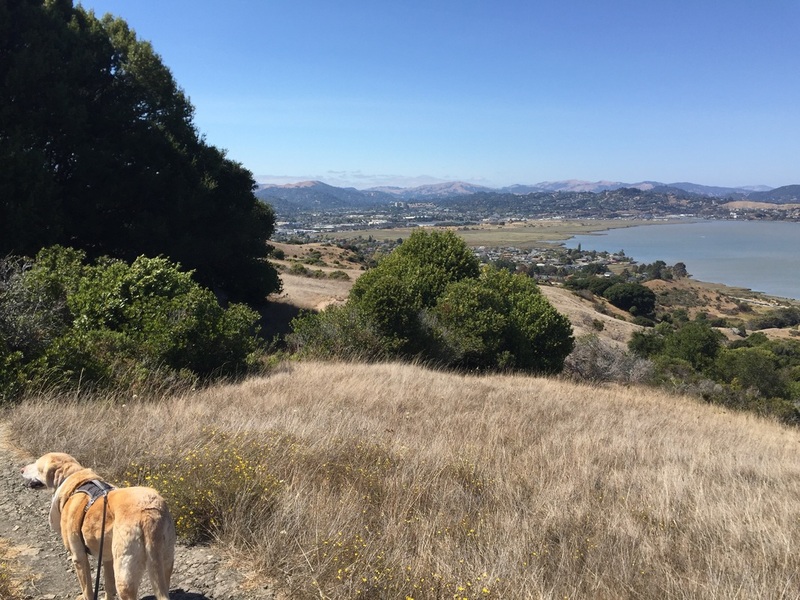 You can either retrace your steps back to the trailhead, return via the Phyllis Ellman Trail, or continue your hike on by exploring miles of trails in the direction of Mill Valley. The Phyllis Ellman Trail is slightly longer and passes interesting rock formations before joining the original trail below. 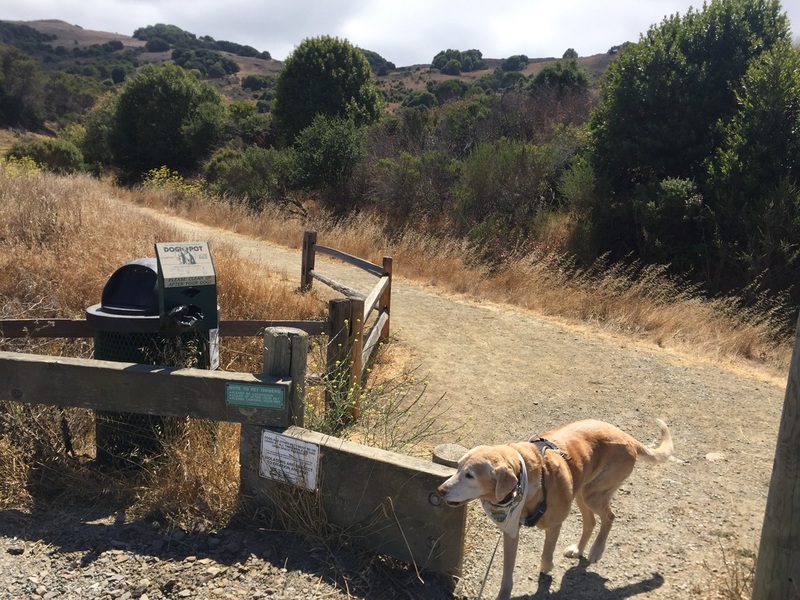 There is a trash can at the trailhead. 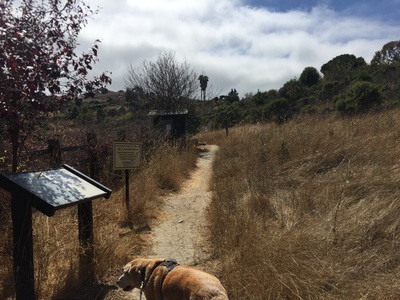 No restrooms or running water available.